Most users of WordPress are accustomed to seeing a number next to the plugin tab telling them to update one of their plugins, but do you know why it is important to keep your plugin versions up to date? As you can imagine, a plugin which has bugs is not a good thing, once a developer finds a bug in his or her code, they will develop a fix and then deploy it to the community. If a plugin requires a bug fix, update it to the new version ASAP or you risk having a failing plugin. It is not necessary to update a plugin for a feature release, this is an expansion of existing functionality. If you are happy with your plugin as is don’t update. When you view the plugin page, underneath the plugin to be upgraded will be a link saying something along the lines of View version x.y.z details, click on the link and all will be revealed. I have seen a number of plugins fail after an upgrade of WordPress. The plugins use depreciated functions within WordPress which means that when an upgrade occurs, the functions they call will fail and the plugin will no longer work. 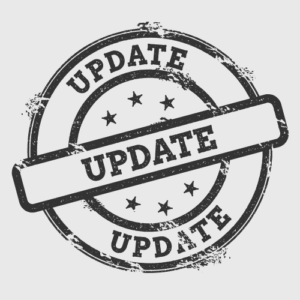 If your plugins stop working after an upgrade check your plugin developers site, see of there is a known issue with the WordPress version and update to the version they recommend, note this may require a manual install. I have sometime reverted back to the old plugin to fix a broken website. This is done via FTP, which I am certain to use to download all files before changing anything! Also, backup your data before you update any plugins. A few plugins make changes to your database. It is highly advisable to have a backup of your database before installing or updating a plugin which could potentially corrupt your database. This process can be overwhelming for many people, especially when things don’t go smoothly. I can maintain your website on a daily, weekly or monthly basis to be sure all of your code is up to date. I can be reached at 386-402-4196 or through the contact page .